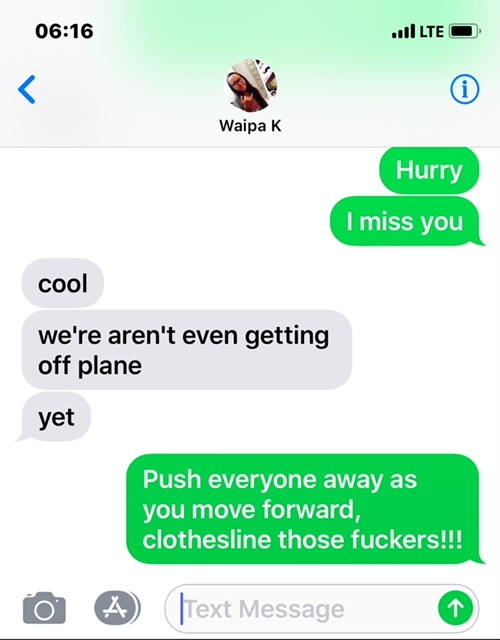 WAIPA IN REAL LIFE: MY KAHEALANI HAS ARRIVED!!! MY LONG AWAITED DAY HAS FINALLY COME!!! LEAVING BETHEL TO GO DO SOME SHOPPING AT COSTCO & HOME DEPOT... AND MOST IMPORTANTLY... KAHEALANI IS ON HER WAY TO ALASKA FROM HAWAI'I!!! SUMMER BBQ AND GET TOGETHER ARE A MUST WHEN YOU CAN!!! SO I WENT COSTCO SHOPPING FOR SUMMER GRINDS AND DRINKS!!! AND THEN I HEADED OVER TO HOME DEPOT FOR CHARCOAL, GRILLING ACCESSORIES, AND PAINT BROWSING. KAHEALANI WANTS TO PAINT THE INSIDE OF MY HOME AS A SUMMER PROJECT, SO I PICKED UP COLOR SAMPLES FOR HER TO LOOK INTO. AND THAT CONCLUDED MY WEDNESDAY, I HEADED STRAIGHT TO MY SISTER'S AND SHE MADE MUSK OX PATTIES (THANK YOU VICKIE!!!) FOR DINNER AND IT WAS THE BOMB!!! AND IT WAS BEDTIME FOR ME BECAUSE I HAVE TO GET UP EARLY THE VERY NEXT MORNING TO MEET UP WITH KAHEALANI AT THE AIRPORT!!! I LOVE THIS APP, FLIGHTSTATS!!! 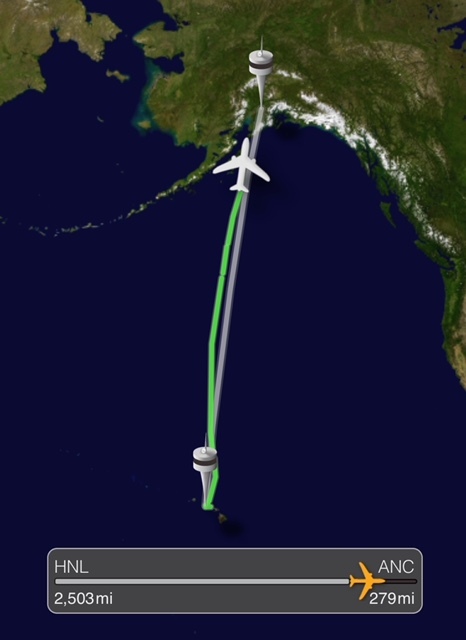 I WAS ABLE TO TRACK HER FLIGHT!!! IT IS WHAT IT IS!!! AND FINALLY SHE IS HERE!!! JET LAGGED BUT I'M HAPPY TO SEE HER AND HAVE HER FOR THE SUMMER!!! GOTTA LOVE THEM ALASKA AIRLINES SELFIES POSTERS!!! 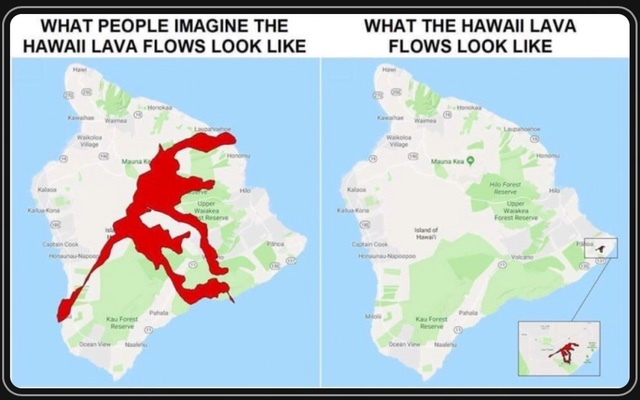 I GET QUESTIONED ALOT ABOUT THE VOLCANO ERUPTION THAT IS CONTINUING LAVA FLOWS TOWARDS THE OCEAN AND OTHER LAND AREAS, BUT THE PARANOIA IS SOMETHING NOT TO IGNORE AND THOUGHT THIS MIGHT PAINT A BETTER PICTURE OF THE LAVA FLOW ISSUES. NO DEATHS HAS OCCURRED AND THE SAFETY COMMITTEE IS DOING AN EXCELLENT JOB ON KEEPING EVERYONE SAFE. ALOHA AND MAHALO TO EVERYONE WHO HAS VOLUNTEERED TO HELP THOSE WHO ARE AFFECTED. HOMES WERE LOST AMONG MANY FAMILIES WHO ARE NOW JUST WAITING AND HOPING TO GET BACK ON THEIR FEET AND THEIR LIVES. CONTINUE TO KEEP HAWAI'I IN PRAYERS.